If you have a dog, you have to take proper care to make sure they don’t run off and if they do, then it’s important to make sure they can be returned safely. 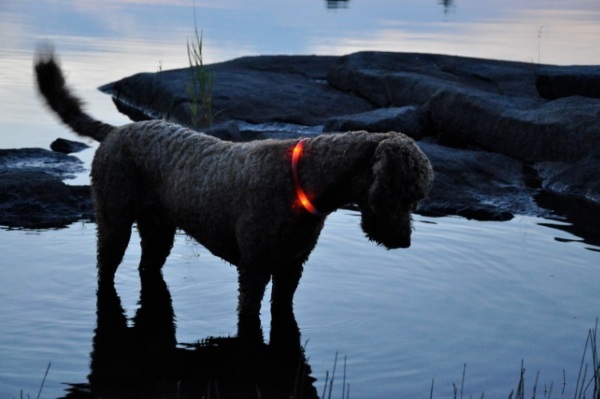 In the dark it might be a bit hard to find a lost pup but the Glowdoggie is a color lets you locate your pooch even on the darkest night. This item wouldn’t be very useful in a city. It’s a glow in the dark collar but there’s no place to attach a leash or tags. 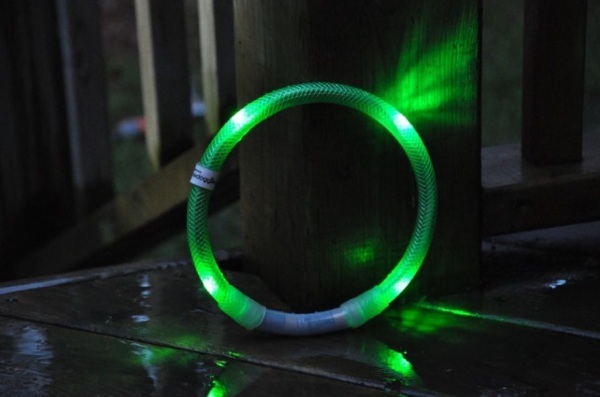 This is simply a collar that glows in the dark. The collar is water proof. It takes two AAA batteries and will last through 5-6 months of 45 minute walks. This collar would be best suited to people who live in rural areas where they often release their dogs on their property at night to use the bathroom. This will also help keep the dog safe from nocturnal animals as they will be able to see the dog coming and no matter how sneaky he is, they’ll be able to get away. The Glowdoggie is $52.99.